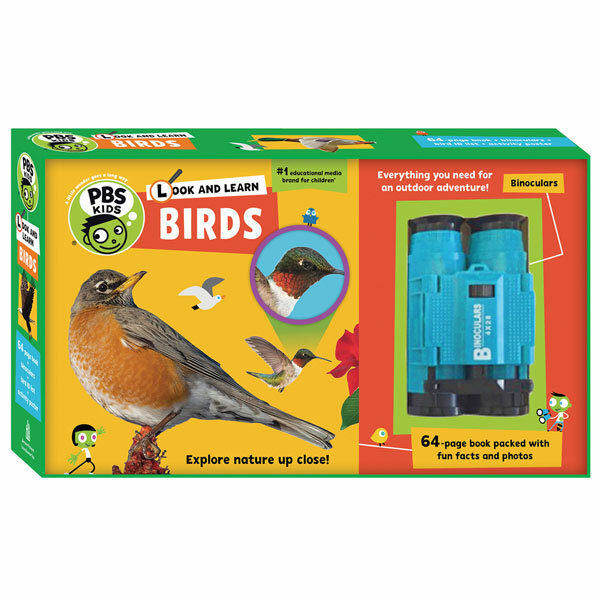 This fully illustrated introduction to birds comes packaged with kid-friendly binoculars to encourage kids to explore the natural world around them. 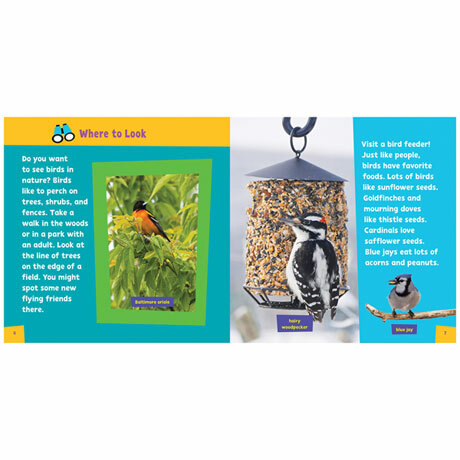 Easy to follow reference is designed for a young audience with large pictures and minimal text highlighting the most interesting things to notice about the most common birds in North America. 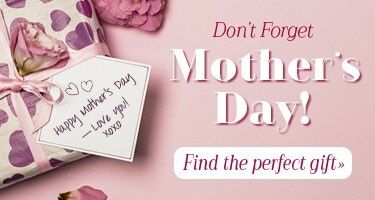 A portable checklist and an interactive poster complete the package. An exciting resource for budding naturalists ( ages 4 and up).